TURIN, Italy -- Top managers from Fiat will run the reorganized Chrysler. But the U.S. Treasury, which is bankrolling the company, will have a strong voice, too. Sergio Marchionne, 56, CEO of Fiat Group, will be CEO of Chrysler Group LLC, the name of the reorganized company, say sources here who are familiar with the matter. 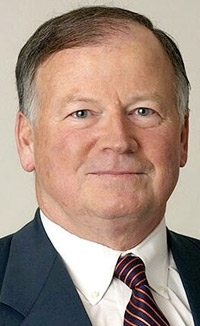 Robert Kidder, former chairman of Borden Chemical Inc. and Duracell International Inc., will be chairman after Chrysler emerges from U.S. Bankruptcy Court, the automaker said last week. Kidder, 64, will "protect U.S. Treasury's interests" in the new company, but day-to-day control will fall to Marchionne, a source told Automotive News. Sources also say Alfredo Altavilla, 45, co-architect with Marchionne of the alliance with Chrysler, will sit on the revised board. He is CEO of Fiat Powertrain Technologies and head of business development at Fiat Group Automobiles. 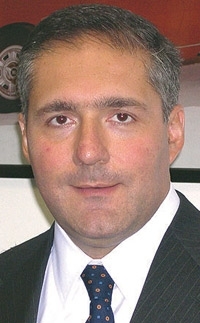 Also, Lou Noto will be named to fill an independent director's seat to be appointed by Fiat, the sources say. Noto, 71, is the former vice chairman of Exxon Mobil Corp. and was CEO of Mobil Corp. from 1994 to 1999, when the company merged with Exxon Corp. Noto sits on various boards, including Penske Automotive Group. Kidder is chairman and CEO of 3Stone Advisors LLC, an investment firm that focuses on clean-technology companies. Bob Nardelli, Chrysler's chairman and CEO since August 2007, announced on April 30 his plan to leave. Nardelli will return to Cerberus Capital Management LP, which brought him to Chrysler, as an adviser.